Businesses are about people. It is not the equipment that makes you money, it is the decision to buy it, the decision of when to turn it on or off, what to feed it, how hard to push it, and when to let it rest; these and other major decisions are all directly or indirectly made by people. Thus the keys to successful leadership today are communication, facilitation, collaboration and conflict resolution. 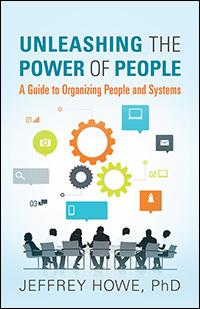 This book provides a detailed guide in how to develop those skills as an individual and to embed them into the systems of your organization (or your part) such that you nurture those abilities throughout. The result is increased motivation, accountability, and results. The goal is to help you make a big difference in yourself and your organization immediately. This book is not about theory, although theory is discussed; it is about immediately defining and implementing the kinds of activities that will make the biggest difference. Dr. Jeff Howe has over 40 years combined experience in both research on what makes successful companies stand out from the herd and hands-on leadership of highly successful organizations. 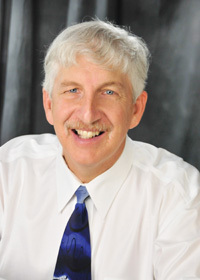 As a consultant and leadership coach he has worked with individuals and teams from a wide variety of business sectors and from manufacturing to retail; including public, private, for-profit, and nonprofit.